Product prices and availability are accurate as of 2019-04-20 06:15:33 UTC and are subject to change. Any price and availability information displayed on http://www.amazon.com/ at the time of purchase will apply to the purchase of this product. 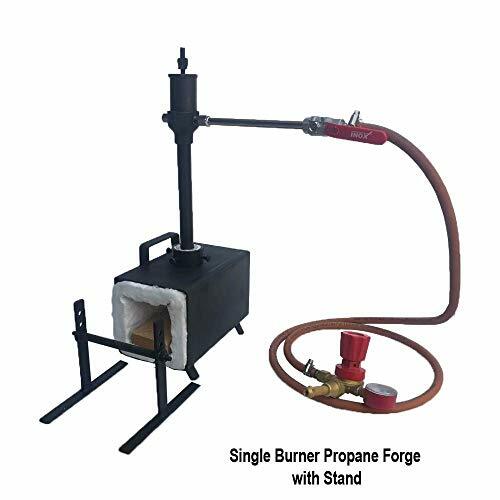 Propane Forge is inevitable product for a Blacksmith, Hobbyist, Jewellers & Knife makers. It is ideal for heating and bending of metals, tempering and heat treatment of small knives & agriculture use small tools. 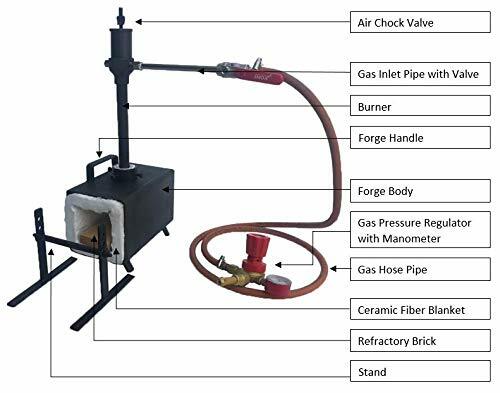 This Single Burner Rectangle Shape Propane Forge is made from Structural Square Steel Pipe and its heating zone is fully insulated with Refractory Ceramic Fibre, which can resist temperature up to 2600°F. A rigid block of refractory Fire Brick is placed at the bottom of the forge to resist high velocity firing. Pack comes with a forging metal holding stand which supports the tong while placing and removing the charge in and out of the forge. The powerful burner gives out a neutral flame leaving a small amount of oxygen for scaling. 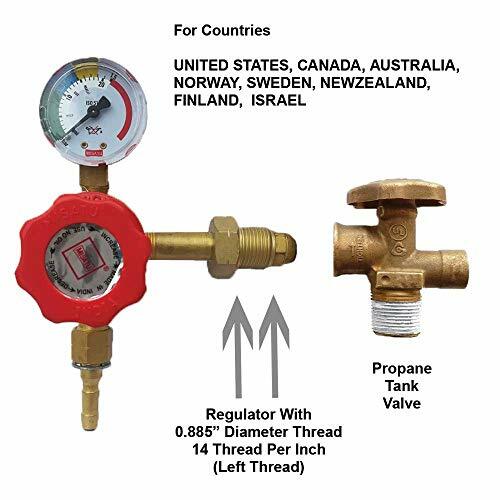 High quality nozzle (pressure – 0.21 PSI) increases the efficiency of burner with the help of Air Chock Valve attached on top which regulates the amount of air that is mixed with the propane during combustion. 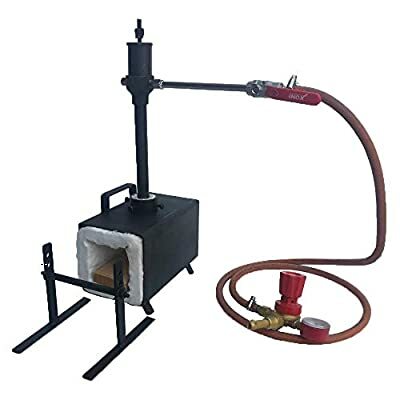 Forge Internal Dimension : 2.75" x 4" x 10"
Note: User Manual, Assembly and Safety instructions are Included in the packing. Single Burner Propane Forge Furnace with 2600 degree capacity lined by 1" thick high density ceramic fiber blanket Comparatively High Tensile Strength & Can withstand Direct Flame Comes with stand Our gas pressure regulator connection fit for these countries: UNITED STATES, CANADA, AUSTRALIA, NORWAY, SWEDEN, NEW ZEALAND, FINLAND, and ISRAEL.